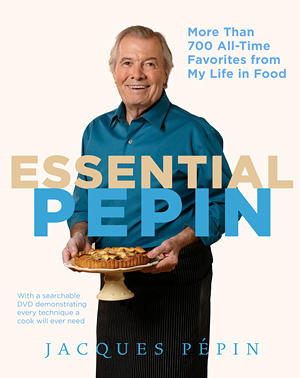 In Essential Pépin, the companion book to the television series, Jacques Pépin hand-picks and updates his favorite recipes from a career that has spanned six decades. The book shares and celebrates Jacques’ life in food with recipes that find the shortest, surest route to flavor, avoiding complicated techniques. 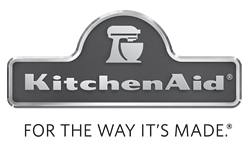 Included in the over 700 recipes are Roast Sausage with Potatoes, in which Jacques explains how to make and cure sausage at home; Linguine with Clam Sauce and Vegetables, a frequent dinner chez Jacques; Artichoke Hearts Helen, a dish Jacques first made at the house of his mentor, House Beautiful food editor Helen McCully; Cream Puff Potatoes, which his mother made every day in her small restaurants; Cheesecake with Apricot-Blueberry Sauce, the favorite dessert of both Jacques’ wife and his brother; and the always dramatic Baked Alaska.